Taiwan’s PV market has shown a lot of promising growth in recent years. 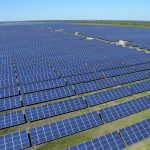 In 2017, its total PV power output hit a record high 1.69 billion Kw/hour, while its total PV installation capacity exceeded 1 GW by the end of the year. This year, a growing number of vendors will begin to shift their focus towards long term operational efficiency and performance as the market becomes more mature. With the overall difference in PV technologies becoming less noticeable, more and more vendors will begin to direct their attention towards after-sales services and localization. 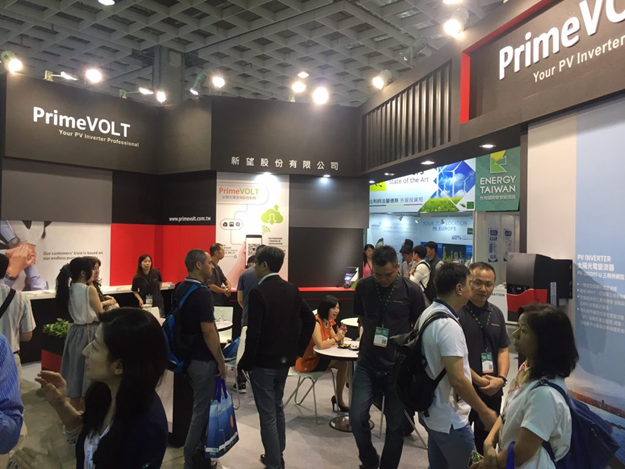 A manufacturer from Taiwan whose business emphasizes both service and localization is PrimeVOLT, a business group of Asian Power Devices (APD). 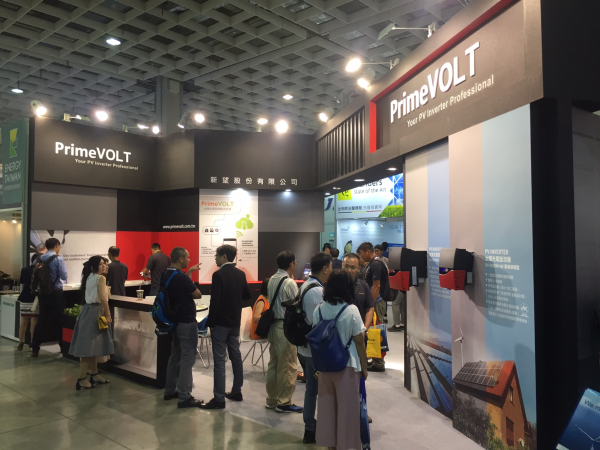 At Energy Taiwan 2018, PrimeVOLT displayed its 40 kW three -phase grid-connection PV inverter which boasts 100% Taiwan design, localized production, and high cost-performance ratio. The product also features multiple certifications, high-efficiency after-sales services, and technological support, which impressed many visitors. Thanks to its special design, PrimeVolt’s PV inverter can be installed on tidal lands or salt flats, which are often sites for local PV power ground-mounted stations. The inverter features a unique aluminum die-casting case, a one-piece body, and water-proof design, preventing corrosion or water penetration, which are common in welded parts after long usage. With the usage of a water-proof membrane and anti-salt and -corrosion baking-varnish coating, the PV inverter can still maintain an IP 65 water- and dust-proof level after long years of usage and has passed the IEC salt-fog tests.Following the completion of its two-year PV power plan which focuses on rooftop solar panels, the Taiwanese government will start pushing for ground-mounted PV power plants to materialize its "nuclear-free homeland" vision by 2025. PrimeVOLT's 40 kW three-phase grid-connection PV inverter is a new model for application in ground-mounted PV power systems, boasting excellent stability and performance, which is similar to its predecessor 30 kW three-phase grid-connection PV inverter. "Taking advantage of localization to meet customer demands which cannot be satisfied by others" is what has enabled PrimeVOLT to become a leading PV inverter supplier in Taiwan, points out PrimeVOLT general manager Zhuang Chin-min, who stresses the long term importance of services on the PV power device marketPV power plant development can be very complicated, involving not only design, panel, and frame of the system, but also power allocation from the state-run Taiwan Power Company. These can all affect power output and reliability in the long run. In addition to the provision of the PV inverter, PrimeVolt can assist customers in the planning and design of their own PV power plants. Due to its local advantage, PrimeVOLT offers on-site repair services guaranteed for completion within 48 hours, which often drops to 24 hours in the case of PV inverters. 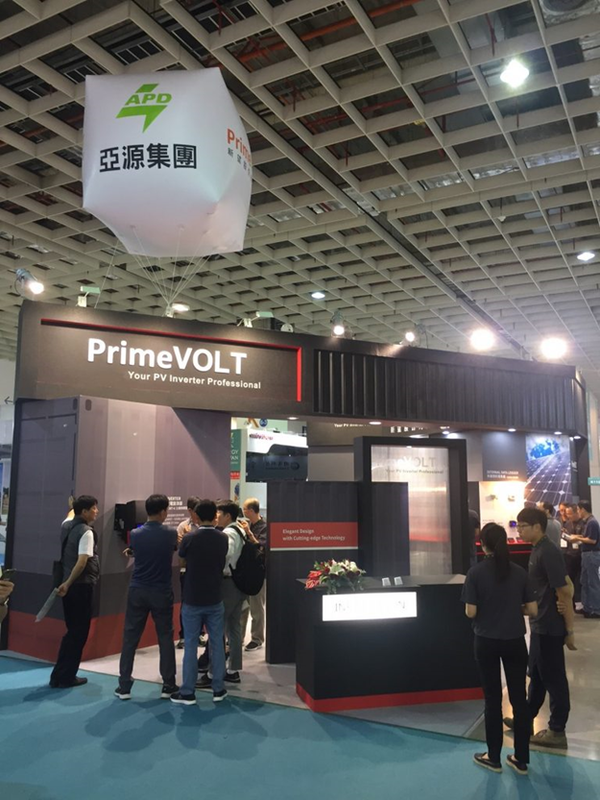 "In many cases, we found that the problem lies in parts other than the PV inverter," notes Fan Ming-chung, the Director for PrimeVOLT’s business division. The situation has prompted PrimeVOLT to expand the coverage of their services to parts other than the PV inverter.With the gradual maturity of the PV power market, warranty, timely after-sales services, and sufficient technological support have become key factors for customers in selecting suppliers, due to the inevitability of the malfunction or breaking down of PV inverters which are exposed to the environment for a long period. This is another edge of PrimeVOLT, thanks to its localization. 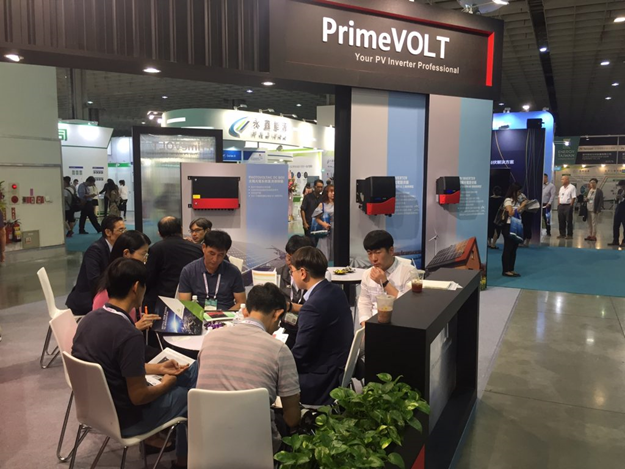 During Energy Taiwan 2018, it is evident that PrimeVOLT has established a trustworthy reputation on the local market because of the reliability and high cost-price ratio of its product, and its real-time local services. 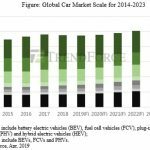 With four items having passed VPC (voluntary product certification) in early July, PrimeVOLT is expected to pass the certification for the entire series of models by the end of 2018. 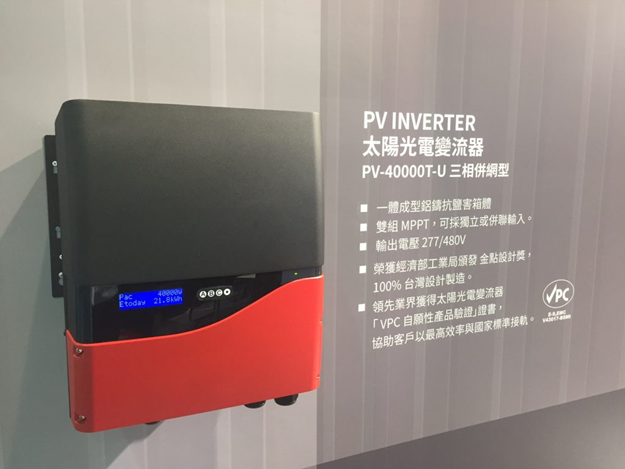 In the future, PrimeVOLT will put forth grid-connection PV inverters with even larger capacities, which will also be coupled with quality services. About Asian Power Devices Inc. The APD Group consists of power system and renewable energy business sub-groups, with products including power supply, PV inverter, and smart lighting. In addition to R&D on key technologies, it also quests for high-efficiency production and services. APD pledges to continue the quest for innovation and sustainable development, in order to become a power-electronics and renewableenergy technology leader on the global market, and to contribute to the materialization of a green future for people.Founded in 1994, Asian Power Devices Inc. (APD) has focused on power electronics and new energy technology, having carved out a key status on the global market with its world-class R&D capability and highly competitive products and services.